Dr. Gordon is a native Californian and obtained his veterinary degree from the University of California, Davis. He then completed an internship in small animal medicine and surgery at The Ohio State University. He returned to UC Davis and completed a residency in radiation oncology and is board certified with the American College of Veterinary Radiology in the discipline of radiation oncology. 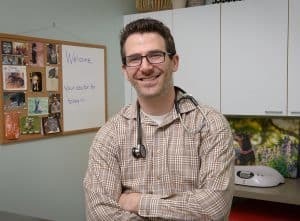 Due to a strong interest in veterinary education and training, Dr. Gordon stayed at UC Davis as an instructor in radiation oncology and founded VetPrep, a company dedicated to providing learning resources to veterinary students that has helped over 35,000 veterinarians prepare for and pass their licensing examination. In 2008, he moved to the Washington, DC area where he initiated advanced training as a postdoctoral fellow in the Radiation Oncology Branch of the National Cancer Institute. Dr. Gordon’s primary clinical interests include the use of advanced imaging and radiation delivery techniques to improve tumor control and patient quality of life. He has a special interest in tumors of the head and neck and in tumors of the central nervous system. His research interests include the identification and investigation of drugs that increase tumor responsiveness to radiation or improve the tolerance of normal tissues to radiotherapy. Dr. Gordon has published primary research and review articles on these subjects and has spoken at national meetings on these topics. He has received multiple awards for his work as a clinician and clinician-scientist, including the George H. Hart Research Grant, Myrtle L. Oliver Memorial Resident Research Award, and the Gerald Ling Award for Small Animal Research. Dr. Gordon lives in Bethesda with his Dalmatian, Jezebel, his wife, Tamara, a reporter for National Public Radio, and their son, Davis. The Oncology Service at Regional Veterinary Referral Center. The Oncology Service (TOS) provides comprehensive and integrated cancer care for pet animals with cancer. The full spectrum of treatment options are available to our patients at The Regional Veterinary Referral Center, including conventional chemotherapy (see Medical Oncology), small molecule inhibitors, cancer vaccines, surgery, and radiation therapy. Radiation can be an important part of the treatment of many cancers seen in pet dogs and cats. At The Regional Veterinary Referral Center, our team in Radiation Oncology is led by Dr. Ira Gordon. Dr. Gordon works closely with Drs. Chand Khanna, Stacy Santoro Binstock, and Bridget Stewart to provide individualized cancer care to you and your pet. 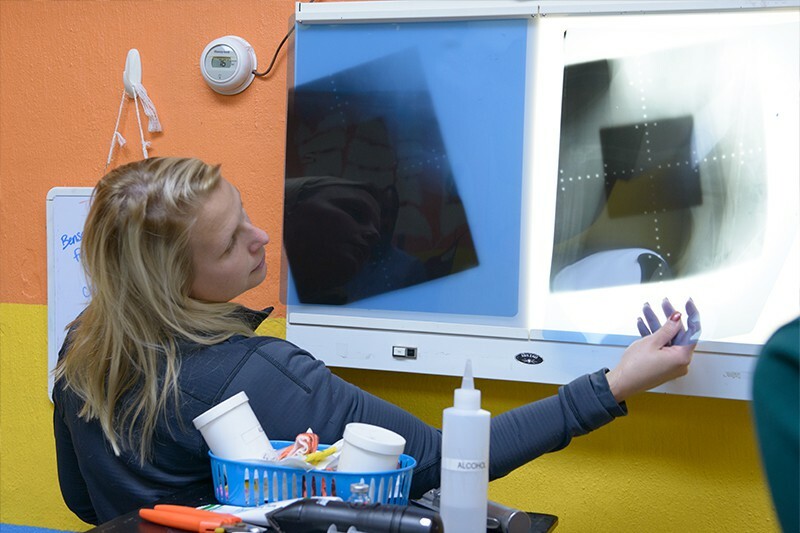 Radiation therapy uses high energy x-rays to kill cancer cells that are located in a specific part of the body, while sparing normal tissues elsewhere in the body. The use of radiation therapy is most effective as a follow up to other treatments like surgery or chemotherapy, and in these situations is often administered with the intent of curing the patient of a given cancer. In other situations, radiation therapy can be used to shrink a tumor that cannot be removed with surgery. In these situations the use of radiation therapy may then allow surgery as a subsequent step in cancer therapy. Finally radiation therapy can also play an important role in palliating or alleviated symptoms associated in some cancers either alone or in combination with other therapy. Radiation therapy is delivered as a beam of energy that is targeted to a specific part of the body. Using a number of approaches normal tissues that surround the tumor are “shielded” from this beam so as to limit side effects associated with radiation. This requires the skill, planning, and expertise of our Radiation Oncology team, and the use of advance diagnostic tools like CT Scan and MRI Scan. Through the careful delivery of radiation to the area of the tumor and the different repair responses of tumor cells compared to normal cells, the goals of radiation is to kill cancer cells and limit damage to normal tissues. Furthermore by giving radiation in small daily doses, there is a greater opportunity for repair by normal tissues compared to tumor. As such the approach of giving radiation therapy in small doses on successive days further reduces the side effects of radiation. In the setting of palliative radiation, since the total dose of radiation is not as high as the curative intent protocols, few total treatments are needed. Our commitment to each patient is to derive a treatment plan for radiation that achieves our intended goal, limits side effects, and is fully integrated with other approaches to cancer care including medical oncology, surgery, and best supportive measures. We will also work to accommodate your schedule such that the optimal treatment plan can be delivered within your families work and time schedule. This can involve early morning drop off, late evening pick up, and boarding during the course of the week if needed. During your initial consultation, your pet will have a thorough history obtained about their disease and concurrent medical conditions. We will perform a full physical examination, review diagnostic tests that have been performed, and discuss the need for any additional diagnostic tests. After all the information is obtained, we will then integrate all pertinent findings and present an overview of the diagnosis, the treatment options available including the goals, the side effects, and the costs associated with that therapy, and will then help tailor a customized treatment plan to fit your pet’s and your family’s goals and needs. Treatment for your pet will then be followed up either with our medical or radiation oncology team at The Regional Veterinary Referral Center or coordinated with your primary care veterinarian. We encourage you to learn more about your pet’s treatment options by talking with one of our oncologists. Compassion, hope, and innovation is what we are known for, while we extend quality of life, one pet at a time. Please visit our website: (www.TheOncologyService.com) to learn more about our services, or give us a call to schedule a consultation. We look forward to helping you and your pet.